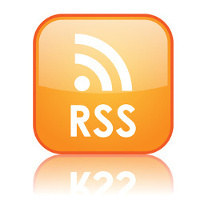 Posted in Consciousness, Culture, Death, DMT, Evolution, Future, Krishnamurti, Psychedelics, Terence McKenna (mp3) and tagged Consciousness, Culture, Death, DMT, Evolution, Future, Krishnamurti, Psychedelics, Terence McKenna. thanks Lorenzo…i’ll get this on the ipod immediately ! Hi Lorenzo, thanks for all your efforts in posting talks. Many of them are excellent. But I was hoping you would refrain from posting the McKenna talks that can be easily downloaded via torrent. This would include your current week’s choice and all the talks that follow in that series. Those are easily available. The more obscure ones you post are really the best and do the most service to people, I think. Anyway, the best way to check would simply be to go to a site like The Pirate Bay or BTjunkie or ISO, and type in Mckenna’s name. Thanks! Lorenzo, you did it again! I loved Terence’s talk, and I find your idea about playing the personal favourite music for olympic winners instead of national anthems a super-great idea!! 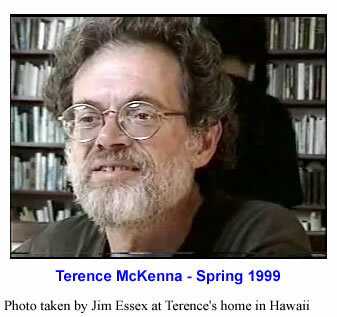 It would be interesting to learn who was Terence’s strange friend living in Palo Alto – “the real Terence McKenna”, who, in 1967, obtained material boosted from an Army reasearch being run down at SRI, a 50 gal. drum of DMT out of inventory. Wonder what SRI was doing with it. Another great Podcast. Looking forward to Part 2! That, is an incredible think to ponder 🙂 I wonder, did this pop up as a clue? Shiggy, that was a lovely drawing, thank you for the link. It’s an enjoyable site in general even. I very incredible talk by TM. One of the best I’ve heard. Clearly, TM was in a more relaxed state/environment here. I, too, am curious as to who the “strange friend” might be. Any ideas? Perhaps it’s best left unsaid or unknown. People like that probably enjoy their anoniminty. The playing of one’s personal favorite song at the olympics might just get me to watch them — or at least pay more attention. Lorenzo, have you ever mentioned the 2008 ‘Know Your Mushrooms’ documentary? i googled it up along with your site looking to see if you’d ever referred to it and found nada. i’m in the middle of it now, having rented it thriough netflix, and the seritonin cascade it’s given me has been heavenly. not to mention how wonderfully educational it is in general regarding the myco worlds of beneficiary delights i apparently haven’t regarded or studied near well enough. i can’t recommend this film enough. worth a post in itself i’d dare say. Lorenzo, yes, I agree the rarer the McKenna podcast the better as, I assume, much of your audience at this point has become Terrence-fanatics and downloaded all of the lectures readily available online in one big torrent. Interesting observation about McKenna’s library burning down and Huxley’s. Made me think.